Kouts, Indiana is located just south of Valparaiso in southern Porter County in Northwest Indiana. 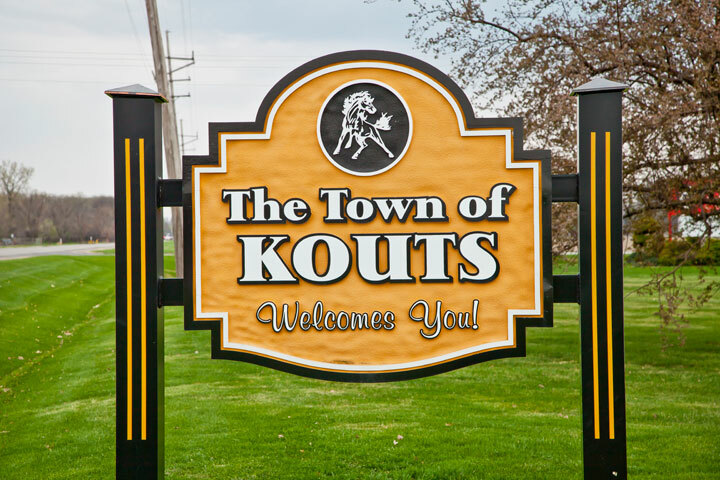 With a population of less than 2,000, Kouts remains one of the only truly small towns left in Northwest Indiana. Popular photos of Kouts, Indiana include the Kouts water tower, which is located in the center of town.